In this blog, I invite you to stop by my shop, look over my shoulder, hear what’s on my mind, and, of course, offer your comments. Working alongside another woodworker, you can observe his habits, and acquire useful skills by absorption as much as by explicit instruction. Over time, the craftsman shares his thinking, along with the meaning of his work. 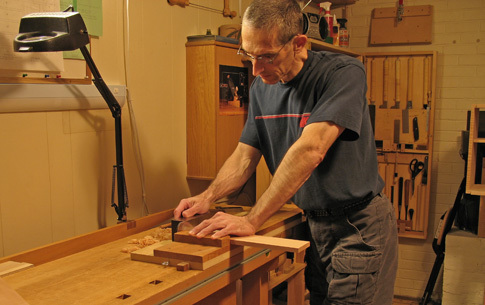 For so many of us, woodworking is done mostly in isolation. Though today there is an abundance of formal learning materials, I believe we small-shop woodworkers have much to gain from visiting each other’s shops, albeit in the virtual world. Thanks for your refreshing blog. 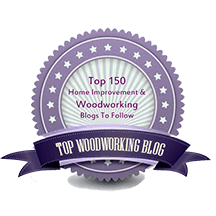 I’ve been reading a lot of woodworking blogs lately and ran across yours on someones else’s list. Just skimming your initial posts, I have a feeling you will build a very strong following- good writing, good illustration, friendly feel. I’ve recently started a blog of my own primarily about real estate and my part of North Carolina, but I’ll be throwing in a bit of woodworking and other stuff for fun. I’m learning to use all the WordPress tools, and seeing nice blogs like yours gives me good ideas for my own blog. Kudos on the website, also. Best wishes for your new blog which certainly looks superb so far.